Delivers 21 Highway MPG and 15 City MPG! 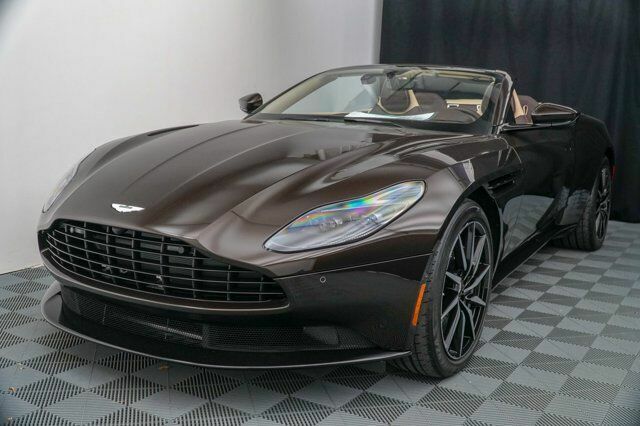 This Aston Martin DB11 delivers a Twin Turbo Premium Unleaded V-8 4.0 L/243 engine powering this Automatic transmission. Window Grid Diversity Antenna, Wheels: 20" 10-Spoke Silver, Valet Function. Trip Computer, Transmission: 8-Speed Automatic -inc: Rear mid-mounted gearbox w/electronic shift-by-wire control system, Transmission w/Driver Selectable Mode and Touchtronic 2 Sequential Shift Control w/Steering Wheel Controls, Tires: 255/40ZR20 Fr & 295/35ZR20 Rr -inc: Bridgestone S007, Tire Specific Low Tire Pressure Warning, Systems Monitor, Strathmore Leather Seat Trim, Speed Sensitive Rain Detecting Variable Intermittent Wipers, Side Impact Beams, Rocker Panel Extensions. Test drive this must-see, must-drive, must-own beauty today at Foreign Cars Italia Charlotte, 416 Tyvola Rd, Charlotte, NC 28217.